There are presenters and then there’s Ivette Mayo. 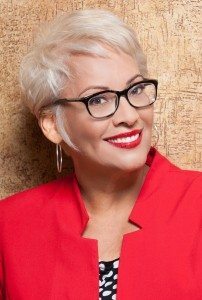 Her results-driven approach has elevated Ivette onto a class all her own making her a sought after, award winning, speaker and trainer among Fortune 500 companies, government entities, and organization across the country. What sets Ivette apart from the others is her unique ability to connect and engage with audiences in a way that ignites them to move beyond inspired individuals to motivated participants driven to take action quickly. Ivette combined her 30 plus years of business and professional development experience to deliver a powerful formula for success on topics and courses related to building sound business skills, creating stronger culturally competent teams, impactful leadership, inspired entrepreneurship, and the empowerment of women. Ivette’s authentic, contagious energy and humorous persona sets the stage for a memorable experience where possibilities flourish. If you’re looking for a passionate change agent committed to the success of your organization, call Ivette Mayo today! It is time to SHIFT your mind and everything around you. Especially your actions and outcomes! It starts with developing new foundational thinking and ridding yourself of the effects of limited beliefs, judgement of others and negative self-talk. For 30 days, you will be guided through a daily POWER Ritual, allowing you to connect to your POWER of I – your self-truth! Now available on Amazon and Amazon Kindle. I have had the opportunity to work with Ivette Mayo on a diversity project for our company. She has proven to be a valuable resource for our company, creating a very robust training on Cultural Sensitivity and cultural awareness. Her training has been well received through all levels of the company. 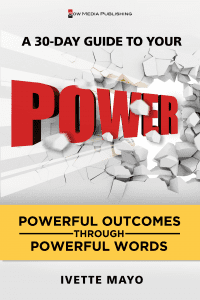 I have thoroughly been impressed with the material and the delivery of the topics. Ms. Mayo worked closely with me during 2014 and 2015 in regards to multicultural sensitivity and leadership training while I was the general manager of Gulfgate Dodge Chrysler Jeep Ram. Ms. Mayo designed and implemented a comprehensive program that involved all of our 100 plus employees. As a result of Ms. Mayo’s training, we were able to connect with our Hispanic prospects more effectively and grew all sales to the Hispanic demographics by 57%. I would highly recommend Ms. Mayo to anyone who is seeking a consummate professional with the ability to engage all groups regardless of ethnicity. In 2015, I transitioned to a new leadership role within our company. Aside from having a new Director, my team went through several quick transitions as well as new projects. We brought Ivette Mayo in to help us through these changes. Our team is a diverse group of individuals of different cultures, ages, goals, and education, all working together for the same goals—to open doors in our community and assist people accessing healthcare. Within a half hour of having met everyone, Ivette had instinctively delved into all of the personalities and had a good grasp of each person’s needs. In only a few meetings, we were able to work through our challenges and formulate a plan of action, with each individual recognizing their part in our collective goal. The team had such good feedback for our sessions and I am happy to recommend Ivette, I am certain she is an activator who brings people together for good.